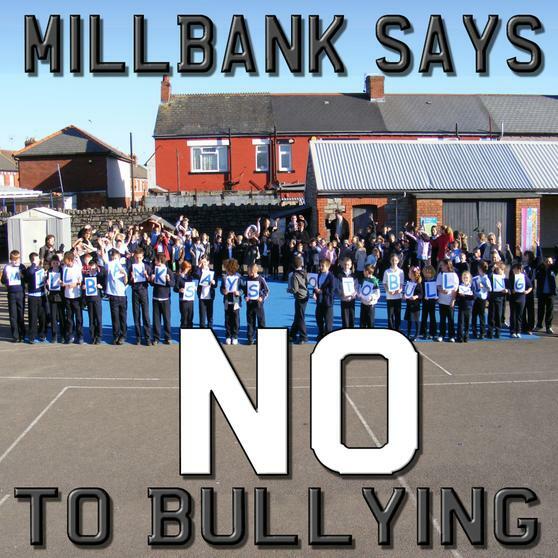 On Friday 23rd November as part of a week long series of activities to mark Anti bullying week, the whole school went outside and shouted out "MILLBANK SAYS NO TO BULLYING!" You can see some video here and hear us shout . It is very important that we try and stop children being bullied but it is equally important that we empower every child to deal with it when it happens in school or outside. 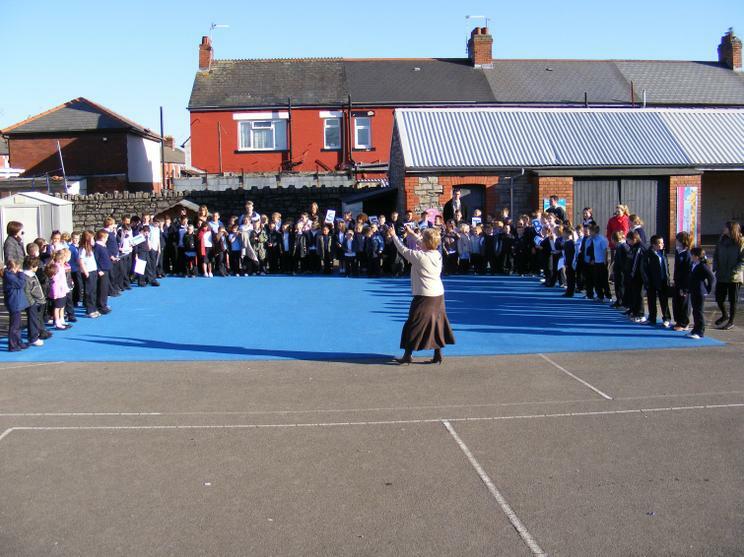 The School Council and children generally are encouraged to report or speak up if they see bullying. The old idea we have of being physically threatened or thumped is the only form of bullying is being replaced by a deeper understanding. Psychological bullying is often far more hurtful, and difficult to detect as it can often be carried out by the victims 'friends'. It is very important that the child at school can confide in a teacher, supervisor if they feel bullied. It is especially important that they tell their parents about it who will work together with the school to resolve the situation.